Apple spokesman, Mike Folks, told the Reno Memo “We’re looking at a 30-year relationship”. The data centre plans in the east part of town is known as ‘Project Jonathan’ and is predicted to create 41 jobs alongside 200 long-term contractors and 580 direct construction jobs. Given the current economic downturn in the U.S., this is widely seen as positive news for the area. 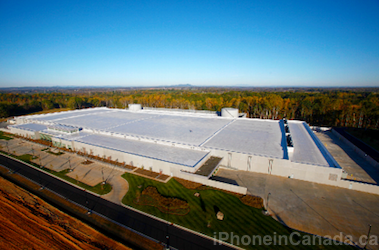 Apple currently has another massive data centre in Maiden, North Carolina. This new data centre just reaffirms how import iCloud is to Apple’s future plans. Earlier it was noted all of Apple’s data centers would be powered by green energy, through massive solar farms.